The Acting President, Prof Yemi Osinbanjo, has urged nurses and midwives in West Africa to return to upholding the core values of their professions in the discharge of their duties. Osinbanjo, represented by the Minister of Health, Prof. Isaac Adewole, at the 14th Biennial General Meeting of West African College of Nursing in Abuja on Tuesday. The conference was on the theme, Emerging Health Emergencies: Community and Health Workforce Response. The acting president said nurses and midwives were key to the healthcare delivery system and their contributions crucial in improving health outcomes of individuals, families, communities and the West African Sub region. ”The healthcare system is in the midst of great change as care providers discover new ways to provide patient-centred care; to deliver more primary care in the community rather than the acute care setting. ”In the most affected regions of sub-Saharan Africa the responsibilities of nurses have increased in line with expanding health services to meet local, national and global health targets, including the UN Sustainable Development Goals,” he said. Osinbajo said the Federal Government had established and was running a two-year Master of Public Health programme in field epidemiology to regularly produce a crop of epidemiologists. He also said Nigeria had set up the Nigeria Centre for Disease Control since 2011 to respond to the challenges of public health emergencies. 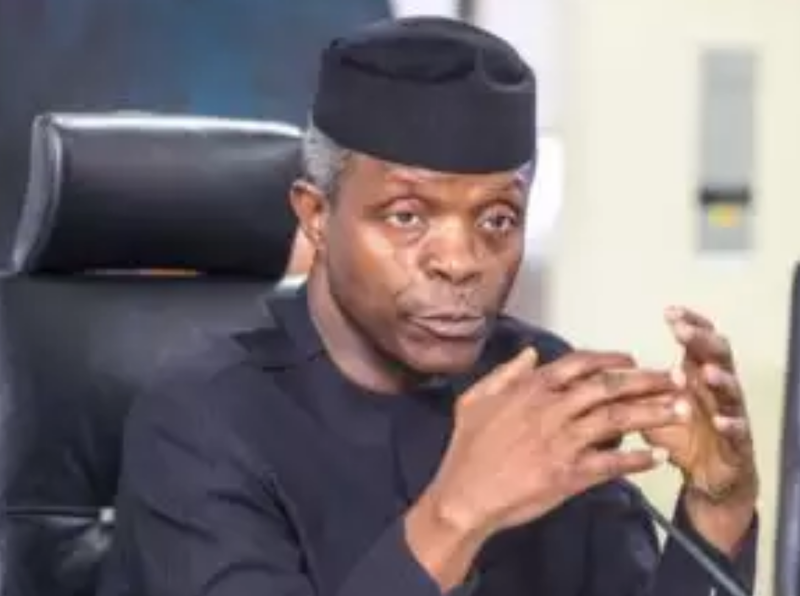 ”To complement the efforts of the government, the role of nurses and midwives in the health systems would need to be reviewed, delineated and recognised for better impact that would readily go to the field in response to emergency outbreak,’’ Osinbajo said. Prof Uduak Achibong, of Centre for Inclusion and Diversity, University of Bradford, commended nurses for taking up the job. Achibong added that operating within the core values of the profession – compassion, competence, commitment and Care – would come handy during emergency occurrences. She said that each year, one in five countries around the world had a health emergency to deal with. Achibong listed three types of emergences and warned against slow burning health emergencies, such as obesity and dementia. She noted that while over 15 million people globally were obese, especially in low-income countries, an estimated 71 per cent of West Africans would develop dementia by the year 2050.